You'll probably notice that the geographic location on the map is not completely accurate, especially if the iPad is only connected to a wireless network. But hey, it's better than nothing, right? 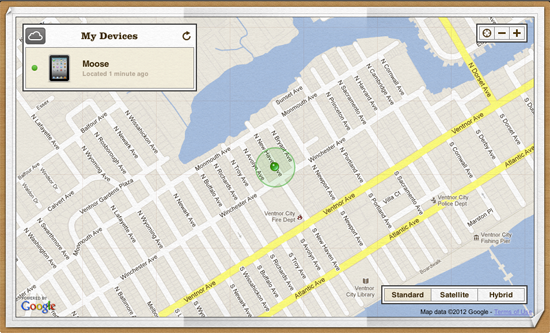 And it should give you a rough idea of the iPad's location (e.g., the iPad is in my house and not the cafe).